Consider capital gains on any investment properties you're thinking of retaining. Capital gains taxes are paid on the difference in value between what you bought something for and what you sell it for. In divorce situations, your “bought for” date is not the date your spouse transfers ownership to you. It’s the date the two of you first acquired the asset. If you purchased a parcel of vacant land for $5,000 early in your marriage, and if you take it in the settlement and sell it for $50,000, you're only actually gaining $43,250. You'd pay capital gains tax, usually at the rate of 15 percent, on $45,000 of the money. Assess your immediate cash needs. 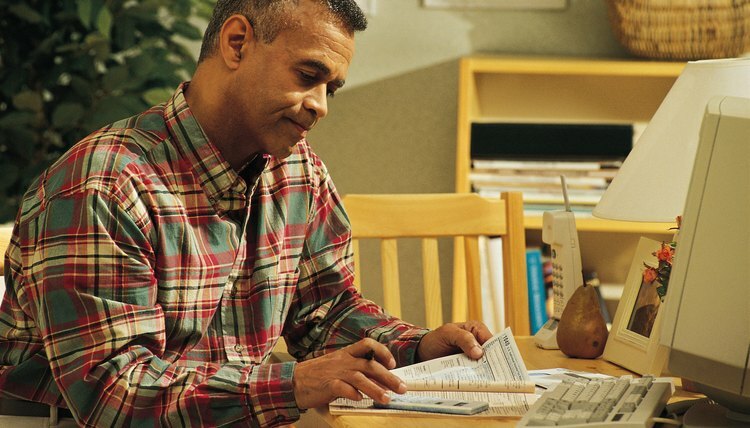 Retirement plans are often subject to their own taxes and penalties if you cash them in before age 59½. If you opt for a portion of your spouse’s 401k or IRA, and you need the cash now more than you need the eventual security, you might pay anywhere from a 10 to 20 percent tax penalty if you don't roll the money over into another retirement plan in your own name. This can potentially turn a $50,000 retirement benefit into one worth only $40,000. Gauge the income tax implications of support awards. Alimony is taxable to the spouse receiving it and tax-deductible to the spouse paying it. Therefore, a $30,000 alimony award is not really worth that much to you. If you pay income tax on it at the rate of 20 percent, it’s only actually worth $24,000 to you after taxes. Likewise, if you pay $30,000 per year in alimony to your spouse, it doesn't really cost you $30,000. If you're in the same tax bracket, you're only paying her $24,000 because you save the $6,000 you would have given to the IRS on that income. Subtract the tax liabilities of each asset you're taking in the settlement from its face value, then add the after-tax values of all the assets you're keeping. Do the same with the assets your spouse is retaining. If your settlement is equitable, both of your after-tax columns should come out reasonably equal.